Introducing Spaghetti Craze's Fun Time Desserts! Spaghetti Craze offers a mini selection of fun time desserts to add sparkle after a glorious meal. A very unique, flavoursome and very colourful indulging treat to cherish those lively summer moments with friends and loved ones. It is a guaranteed delectable treat that brings back fond memories of the good old days. Nothing could be more vibrant than to renew and revive your acquaintances with your mates. Sit back and enjoy an enjoyable music whilst being pampered by the allure of our tantalizing desserts and sweets. Relax and enjoy the heat of the sun as you watch the world go by! Who can resist this luscious appeal of Tiramisu? This is a classic Italian sweet that has indeed made name in the sweet dessert category. 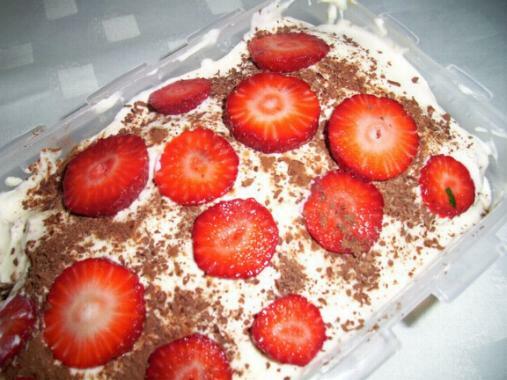 Tiramisu is my number one favourite aftermeal sweet whose fame and popularity is simply incredible. Tiramisu literally means ("pick me up") is a popular Italian dessert. It is made of biscuits (usually savoiardi) dipped in coffee, layered with a whipped mixture of egg yolks and mascarpone and flavoured with liquor and cocoa. 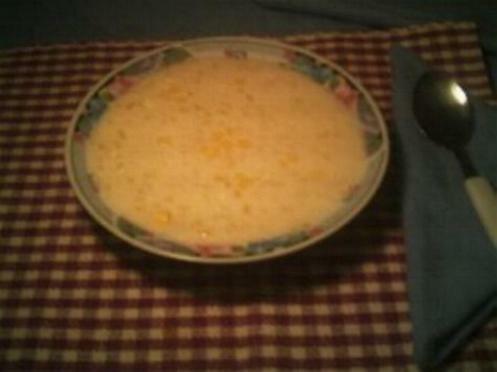 The recipe has been adapted into many varieties of puddings, cakes and other desserts. 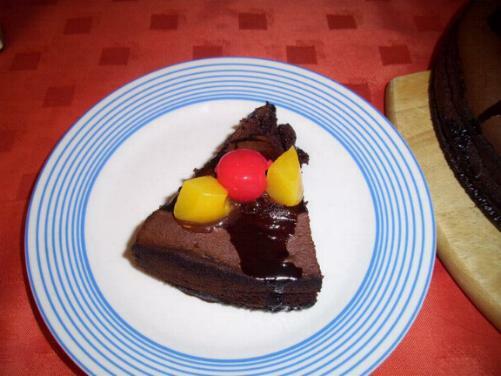 A tempting slice of chocolate cake decorated on top with peaches and cheery. Spring into action through this handcrafted cake made into perfection for your indulging sweet treat. Heaven can wait but not my luscious cake! Serve as afternoon sweet, delicious with cappuccino or cup of tea. This is something to perk you up whilst feeling sluggish. 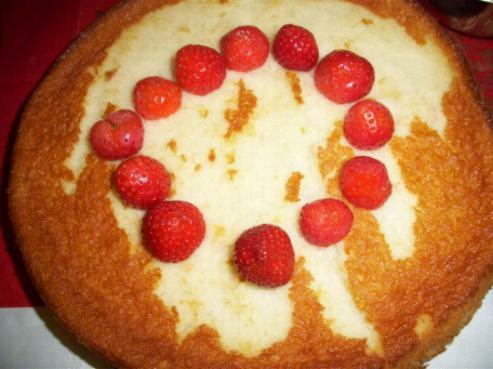 This is a mega pie sweet adored and worshipped by many in the Asian peninsula. A sponge cake combined with the richness of coconut cream and baked into perfection. This is an oriental favourite delight bringing out the best in coconut. Take a close look at the simplicity of the ingredients, very simple, no fuss and a real delicious treat. Sky is the limit about the combination you would opt for like whipping cream, tropical fruits. The peninsular taste is most appealing to us and is far reaching to win the hearts of the Western world. 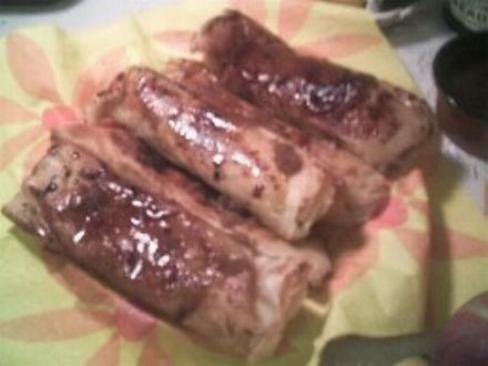 Turon! A crispy fried banana in a spring roll with a touch of caramelised shredded coconut. The simplicity and lusciousness of this oriental delight will add glitter and smile on your face the moment you taste it. This is one of my favourite after dinner sweet that I normally order whenever I go in Asian Tour. Countries such as Thailand, Philippines, Indonesia and Malaysia have their own unique version of preparing this delectable treat. The eclectic fusion of this Oriental favourite lies in the freshness of the banana and the way the shredded coconut has been caramelised. It is usually serve piping hot! served as 'merienda' or afternoon snack.